Me and Acappella go way back. Not that I was ever in an Acappella group, but I do remember the first time I realized how amazing Acappella was. Perhaps you remember a little show called, “Where in the World is Carmen San Diego“? If not, you’re probably too young or not cool enough. The only reason I know my geography is because of that show. 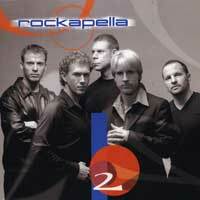 In any event, that show had a pretty snazzy-cool theme song that was created and performed by Rockapella. Thus my love-affair with Acappella began in earnest. Hopefully yours has already begun, and if not, hopefully MarsBands.com can help you realize how amazing Acappella can be.